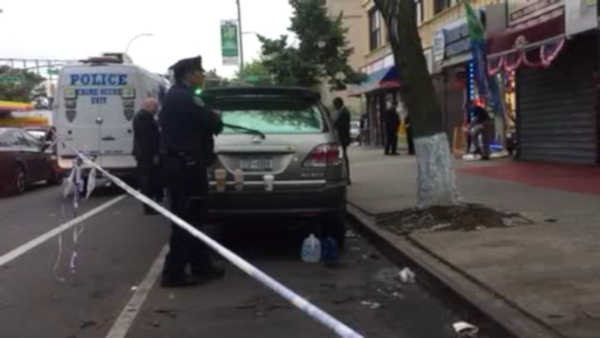 FLATBUSH, Brooklyn (WABC) -- The boyfriend of a woman found dead inside a cellphone store in Brooklyn is in custody in connection with her murder. Police were called to 'Bedford Technology' in Flatbush around 1 p.m. Saturday. 27-year-old Deneisha Smith had signs of trauma to her neck. She was pronounced dead at the scene. Police say it was a violent dispute with her boyfriend that led to her death. After searching surveillance video, police found her boyfriend with his wife and four children. When police confronted him he tried to stab himself, authorities say. The Medical Examiner will determine the cause of death.